Even though posting more often generates stronger results, the survey revealed that bloggers are actually writing less frequently than they once were, instead opting for longer, more thoroughly-researched posts. 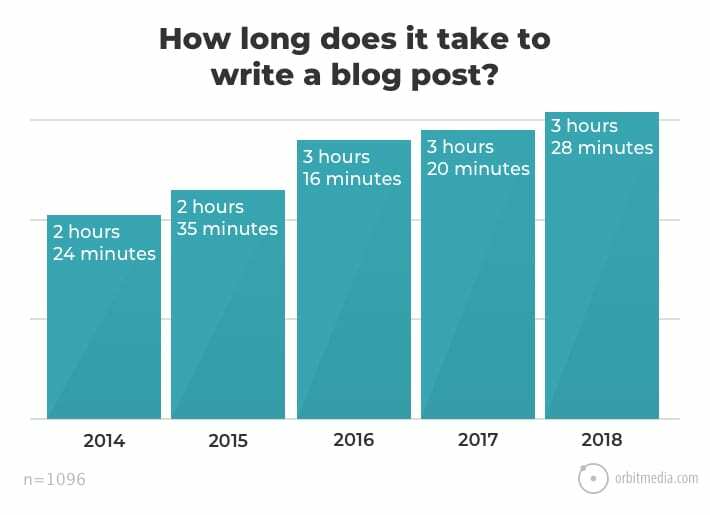 The average blog post length has increased 42 percent over the last five years, now reaching 1,151 words and requiring about three-and-a-half hours to write. (Orbit) Still, only one in five bloggers write that much, and those are the writers who are seeing the strongest results. In order to write these massively long posts, more writers are working with editors; in fact, the percentage of bloggers who work with editors doubled from 12 to 24 percent from 2014 to 2018. (Orbit) Thirty-eight percent of writers are working with more than one editor and have reported strong results. Very few writers conduct their own research, but those that do see huge results. Our takeaway from these stats? It may be a good idea to outsource blogging for your business (by the way, it’s one of our services!) or hire more than one writer to crank out posts that are well-researched and lengthier at a more frequent rate. Another reason lengthy posts are beneficial? They let Google know that you’re an expert on what you’re writing about, and that, in turn, bumps your SEO ranking. Writers are caring more and more about SEO; Orbit’s survey reported that more bloggers are using Analytics more consistently, and a third of bloggers always measure results. 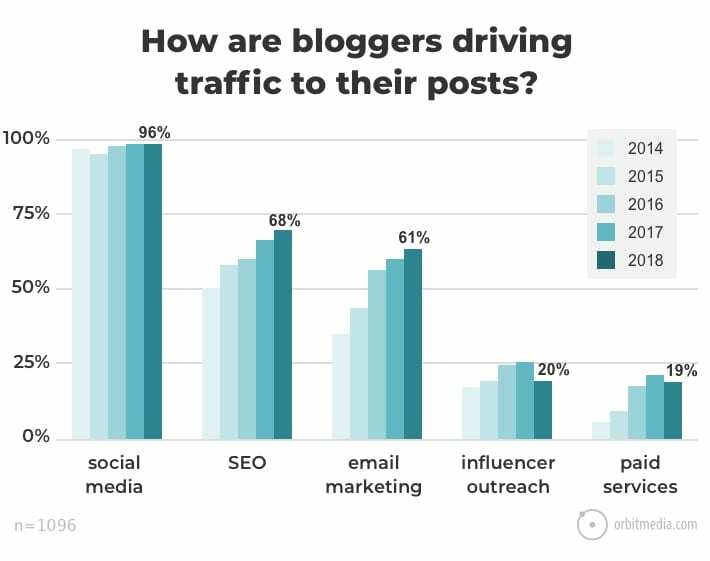 It’s worth looking into: the survey also reported that bloggers who always measure their analytics are twice as likely to report strong results. Since 2014, the popularity of SEO has increased by 34 percent. (Orbit) Which means that if you haven’t hopped on board yet, you should. If your business doesn’t have a dedicated SEO strategist, it’s worth outsourcing to generate results. You May Have to Pay to Play. Digital ads can drive traffic to your website, but it’s important to remain targeted and strategic about ad placement. For instance, you may want to run a full campaign for industry websites, or you may want to put a few dollars behind a Facebook ad. It’s also important to consider who will be seeing the ads and where you want them to go: for instance, if you’re planning a campaign around an event, you should create a landing page specifically for the occasion and drive traffic there. If you want to increase traffic to your blog, you need to feature a hook that makes readers want to click through to continue reading. If this sounds like a lot to take in, that’s what agencies are for. 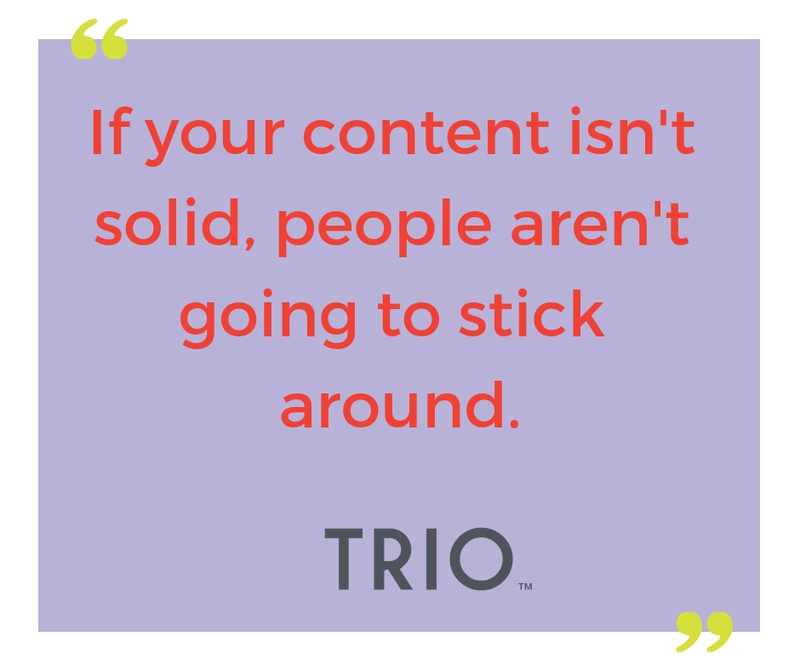 Check out our digital services to see how TRIO can help you see an increase in traffic. Build a Consistent Social Following. The power of social media is real. Close to 100 percent of bloggers promote their content on social media. (Orbit) When you combine that with paid ads, you can see the importance of building up your social media base. An easy way to gain followers? Influencers. Orbit reported that bloggers who engage in influencer outreach are 87 percent more likely to report strong results. 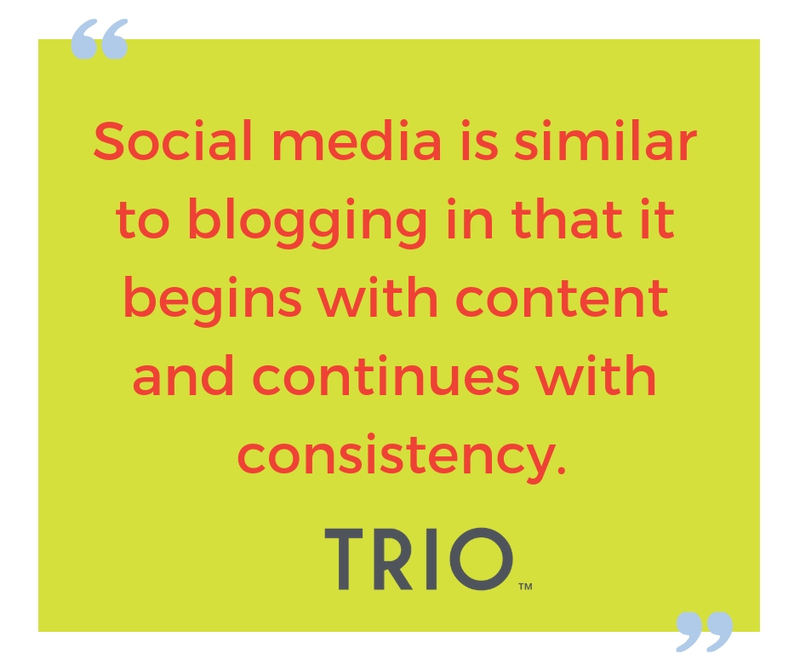 Social media is similar to blogging in that it begins with content and continues with consistency. Your content must first be engaging to followers, and you must post consistently to keep followers’ attention. Sound like a full-time job? For many, it is. For you, it doesn’t have to be. Check out our personalized social media services to make it easier. Shonda Rhimes was on to something when she wrote in Year of Yes, “You just have to keep moving forward. You just have to keep doing something, seizing the next opportunity, staying open to trying something new.” This sentiment is applicable to many facets of life and work, but especially to blogging: according to the survey, bloggers who guest post a lot are the most likely to report strong results, but only seven percent publish on external sites most of the time. By guest posting on other sites, not only do you build backlinks, but you also gain followers and therefore, more consistent traffic. 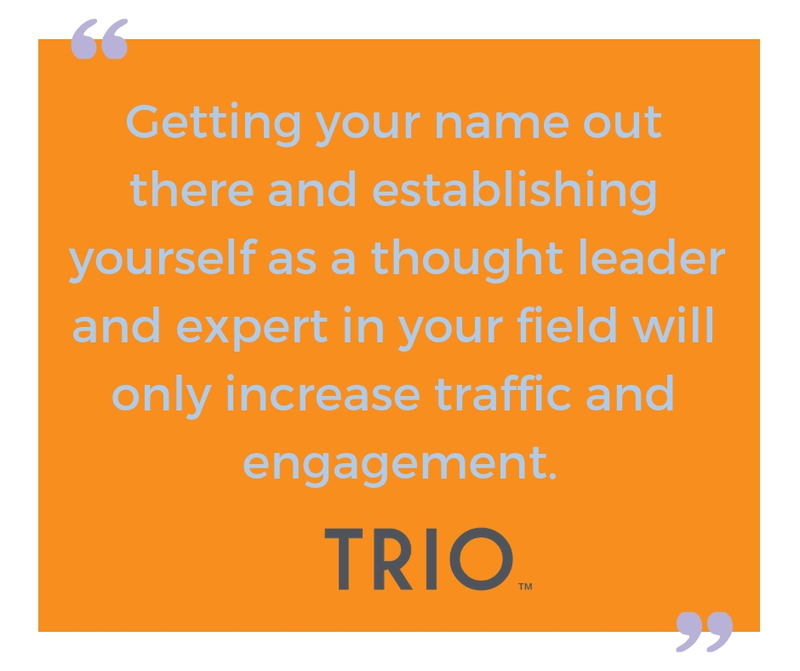 The same sentiment applies to speaking on panels and other IRL activities: getting your name out there and establishing yourself as a thought leader and expert in your field will only increase traffic and engagement. 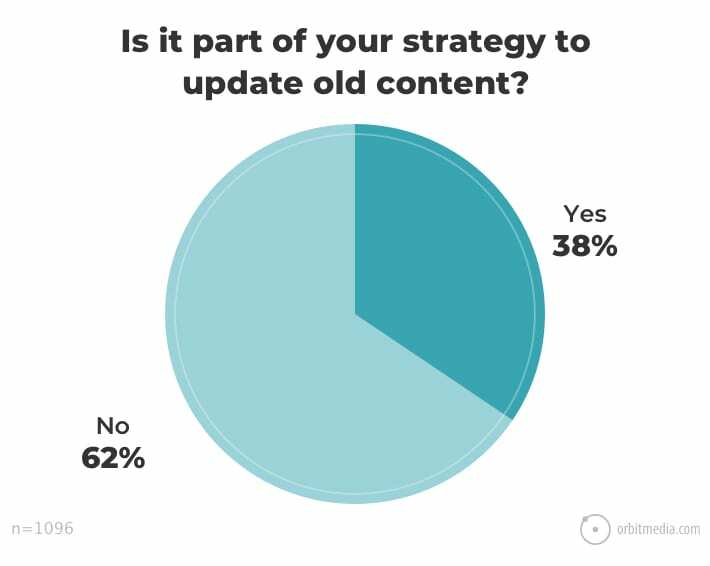 Are you using dynamic content and original research to keep your blog fresh and engaging? We know that content is king and can do wonders for your business, but how many businesses are truly taking advantage of it? Let us guide you on how to create a comprehensive marketing plan based on your digital footprint. Hit us up to learn more.